Saigon is a dynamic city with many sites and alleyways to explore. Ben Thanh Market, Notre Dame Cathedral, City Hall, and the Post Office come to mind but these are just a fraction of all there is to see. You can live here a lifetime and not see everything that you should so what should you do if you just have 24 hours? The following itinerary will help you experience the best of what Saigon has to offer in just one day. Sticky rice is a common breakfast. If you want to be local, then you should wake up early like a local. Not too early though – 7 AM should be fine. This is an ideal time of the day to enjoy the fresh air in Saigon while the roads are still uncrowded and the dust is still settled. Finding breakfast is not a hard task and you will see that locals flock to sidewalk vendors to have their meal. Don’t be afraid to explore and find a stall/family-run restaurant that looks welcoming. With such a diverse cuisine, hundreds of choices are available for you to treat your hungry stomach. Common dishes usually served as breakfast include pho, hu tieu, bun bo, banh canh, com tam, banh mi, and bo kho. The food prices in Saigon are also quite reasonable, ranging from 20,000 VND to 35,000 VND. 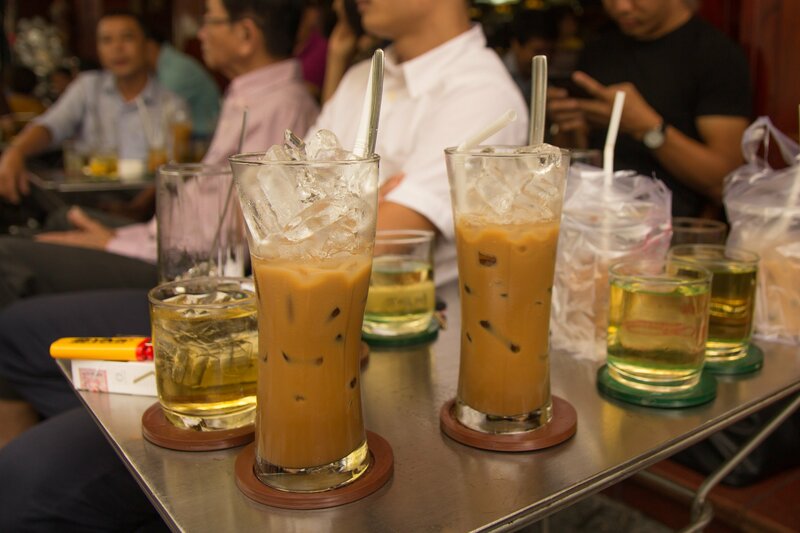 Saigonese love their coffee and it plays an important role in Vietnamese cuisine. People drink coffee at any time of the day, but a great way to start the day is by sipping a cup of coffee in the morning. Just a small cup of Vietnamese black coffee and your energy will definitely reach its peak, ready to be used as you spend the rest of your day discovering Ho Chi Minh City. When it comes to lovely cafe spaces, Khanh Casa and Trung Nguyen seem to be the most well-known names. But again, sidewalk cafes will bring travelers a more interesting experience. The image of people sitting in old plastic table sets, reading newspapers, or simply watching the passing vehicles while sipping a cup of street style coffee has become familiar in the minds of many foreign visitors. In Saigon, there are many sidewalk cafes but the oldest and busiest is definitely “ca phe vot” in Phu Nhuan District. 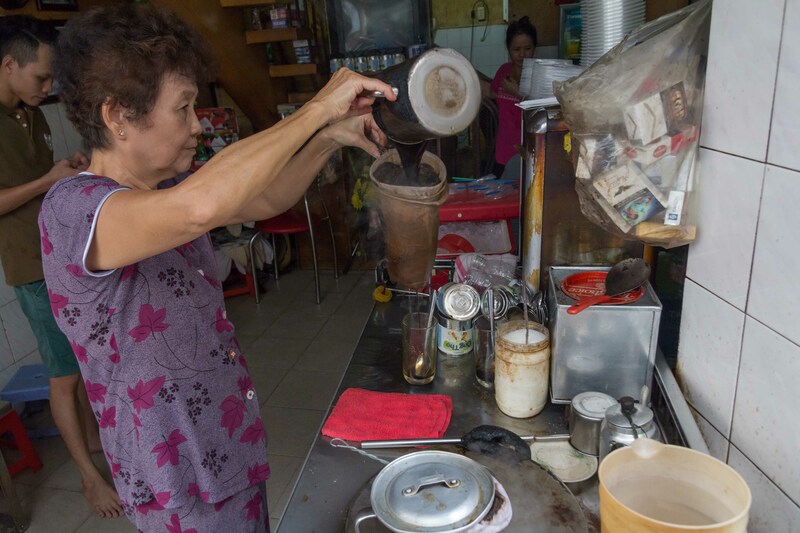 Using the traditional net filters to make coffee, it is this sidewalk stall that produces the tastiest cups for you to enjoy. Fun tip: Have you ever tried egg coffee? 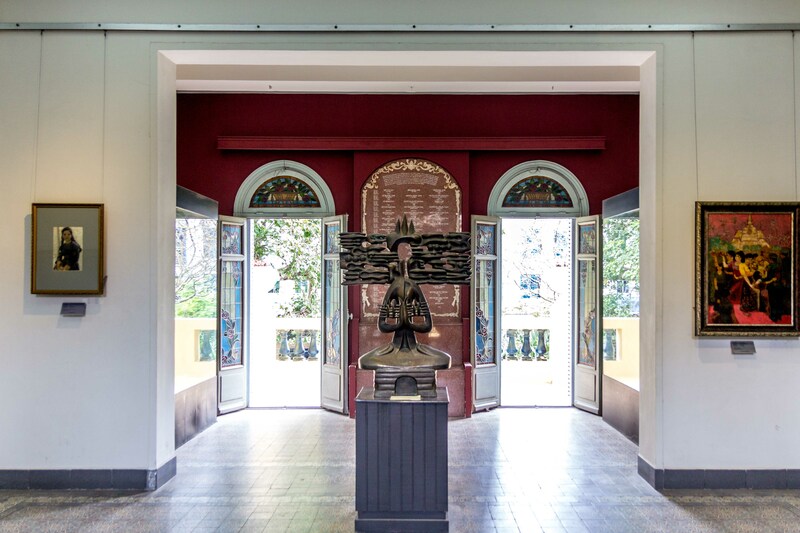 From nostalgic buildings to vibrant contemporary art spaces, it would be remiss to not visit some of Saigon’s art destinations. 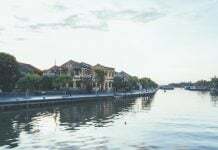 One or two hours seem fine to cover the main tourist destinations in the city’s center, such as Notre Dame Cathedral, the Old Post Office, Reunification Palace, the City Hall, and the Opera House. Hugely influenced by the French-style architecture, these old buildings have for a long time enchanted numerous wanderers who are enamored with the timeworn beauties. Besides, 3A Station is also a good spot in case you want to have a look at the city’s contemporary art. The birds’ stage and its daily audience. On weekend mornings, you will be able to participate in some exclusive activities of the city. 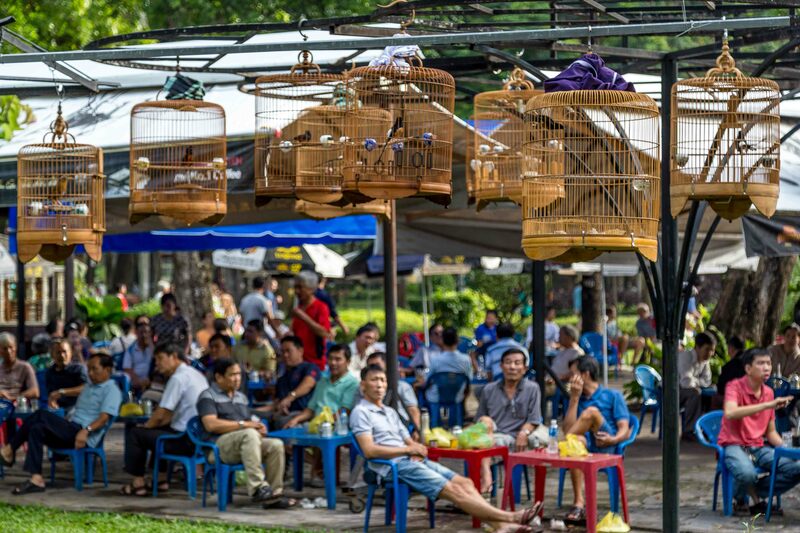 For instance, Tao Dan Bird Park is a good place to go, where bird lovers occasionally bring their beautiful songbirds to sing with each other, creating a noisy but somehow relaxing atmosphere. Another must-do destination open on Sunday mornings is the collector’s marketplace in Binh Thanh District. This special fair has catered to clientele who want to get their hands on old secondhand items from decades past. You may think it would be a bit weird or boring to visit historical sites in the afternoon. However, under the heat of Saigon, museums turn out to be a reasonable stop to take a short break. 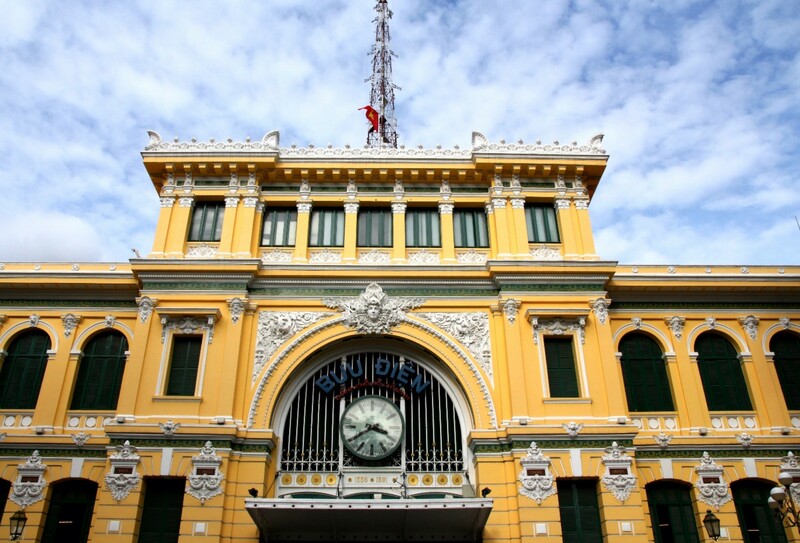 With its historical significance, Saigon is like an epic novel of the country’s history. There are multiple museums around the city’s center and each specializes in one particular theme. 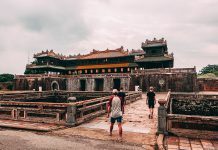 For example, the War Museum on Vo Van Tan Street showcases the country’s painful memories during the Vietnam War, and the Ho Chi Minh Museum at Nha Rong Harbor preserves the belongings of Uncle Ho – the most influential symbol throughout national history. Meanwhile, the Art Museum on Pho Duc Chinh Street houses plenty of important artifacts. However, you should be aware that some museums close during lunchtime, which is from 11:30 AM to 1:00 PM. So remember to check the opening time in advance. You can try shopping when it’s too sunny outside. Ho Chi Minh City is a sweet treat for any shopping freak, and the cool temperature in the late afternoon is even more suitable to wander around and do some shopping. Girls, it’s best to take off your high heels at home and throw on some sandals because you may have to walk a lot to cover all Saigon’s many malls and markets. District 1 is covered with malls. Among numerous boutiques situated along famous shopping streets, don’t miss out on Libé Workshop on Ly Tu Trong Street and L’uisine on Le Loi Street. These two fashion brands hold a solid position among domestic fashion brands. 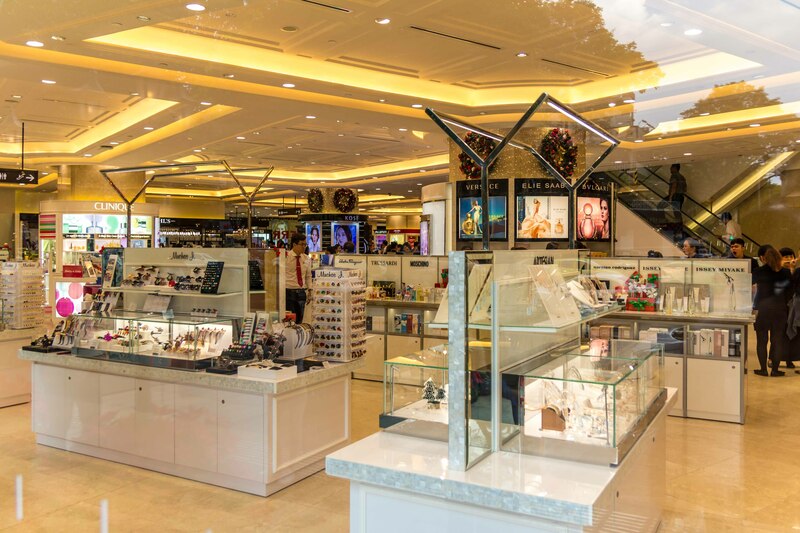 Also, around the central area, there are several shopping malls selling global and branded products where you can find the trendiest clothes and accessories. These locations can be reached within minutes by different means of transportation or on foot. On the other hand, the Saigon shopping scene is not all about the fancy fashion boutiques and glamorous shopping malls but is also about the bustling traditional markets. 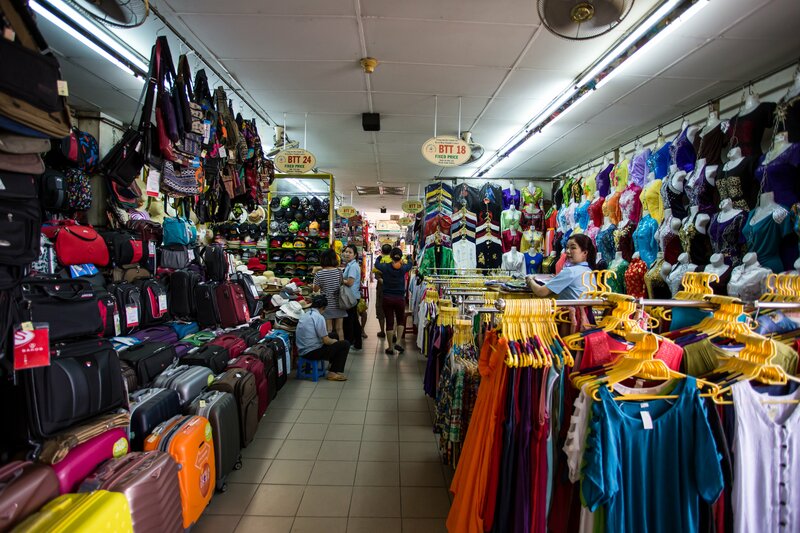 Not only do Saigon Square, Ben Thanh Market, Tan Dinh Market hold important cultural meaning, but the goods available here are also much more authentic and cheap if you have good bargaining skills. 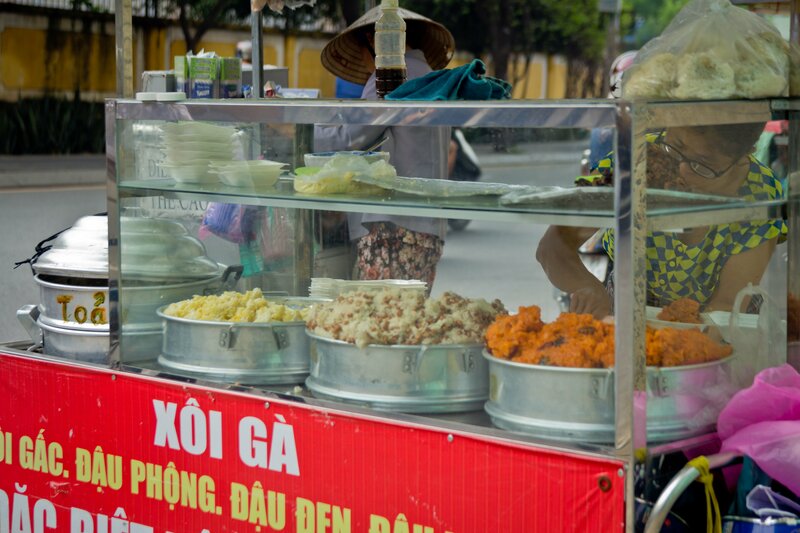 Street food is a culture of Saigon. 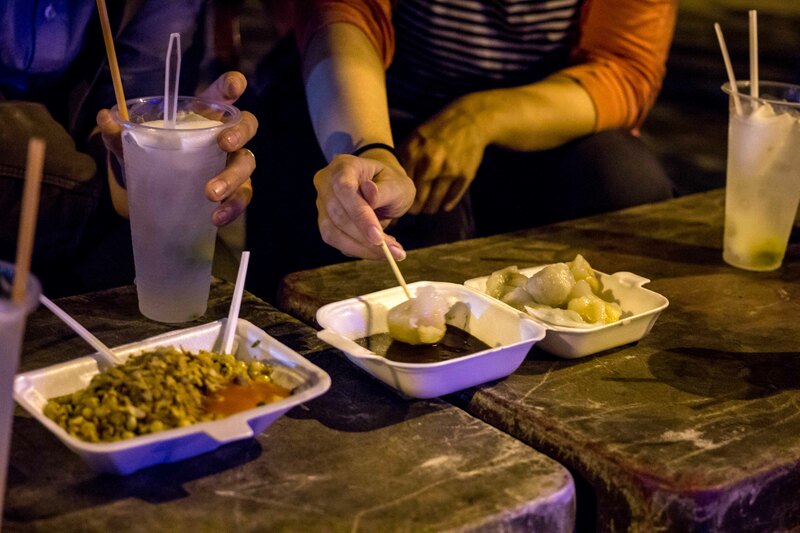 The street food culture is one of the factors making Saigon unforgettable to most foreign tourists. There is nothing as easy as finding something to eat while you are on the streets of Saigon. As a custom, after a hectic day at work, colleagues, friends, and families tend to gather at their favorite dining spots. Bui Vien Street, or the travelers’ street, is livelier than any other area in Saigon. Visitors choose a roadside seat, order a cold drink or a snack, and start gossiping with their friends all night long. Some popular dishes here are fried squid, grilled octopus, boiled quail eggs, and smoothies. Besides, it would be hugely remiss not to mention District 4. Usually known as a paradise for food enthusiasts, the district is famous for its alleyways where you can find the tastiest common dishes like pho and com tam, and also the weirdest but delicious dishes like oc (sea snails) and mi hen (clam noodles). Visitors choose a roadside seat, order a cold drink or a snack, and start gossiping with their friends all night long. 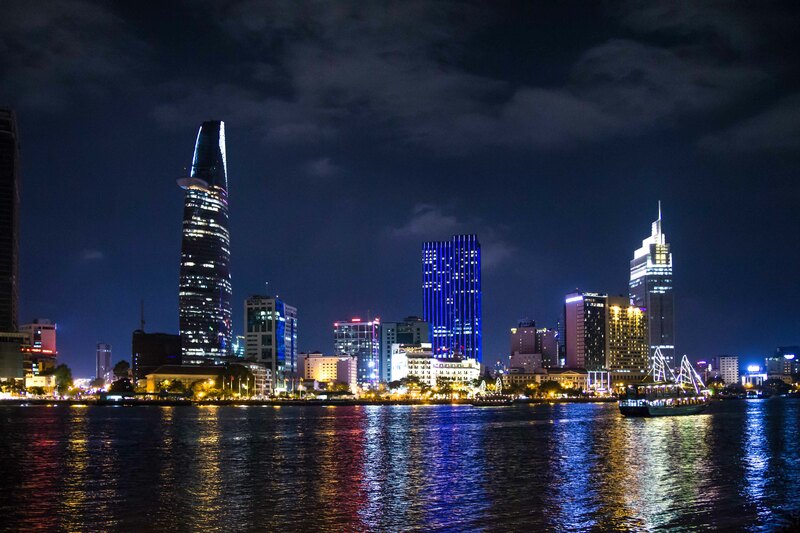 Known as the most vibrant city throughout the country, Saigon seems to never sleep. When the sun goes down and millions of colorful lights are lit around roads and buildings, the city turns into a stunning, charming place that enchants every curious eye after only one quick glance. There is no better way to end your day in Saigon than by admiring the city from above. 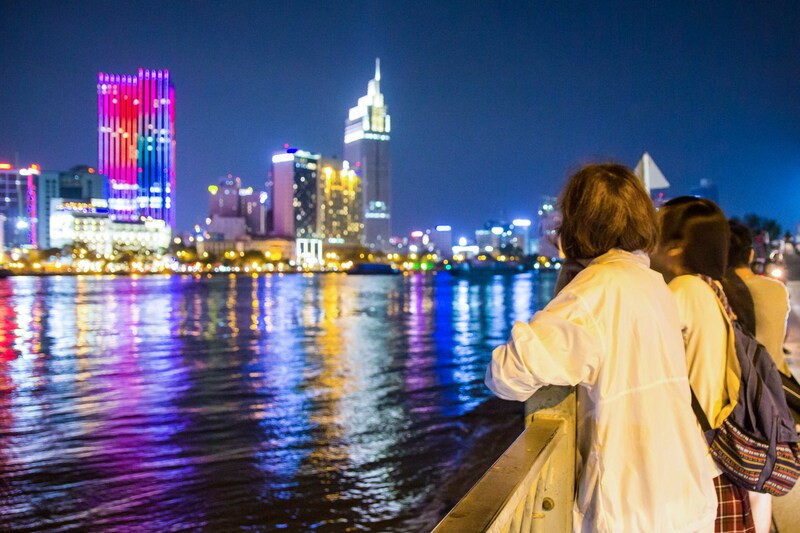 Bitexco Financial Tower, the highest building in the city provides an ideal spot to view the city in its night lights. Standing on the Skydeck on the 49th floor of this famous building, you will be amazed by the city’s spectacular scenery. The Skydeck also has modern binoculars helping you to explore even the smallest corners of the city. Another highly recommended stop for sightseeing is from the soon-to-be-modern part of the metropolis, Thu Thiem Tunnel Park. Just opposite the river, Thu Thiem has been so popular among city dwellers and possesses a stunning view of Saigon at night. I’m not exaggerating! Believe it or not, Saigon has always been happy in the heart of numerous wanderers and just like love, has caused us to be irrational and abandon our plans and return time and time again. Let us know how your day goes! 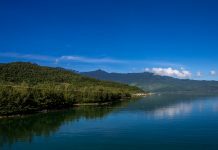 Enjoyed reading this article and would like more information on what to do, see, and eat in Vietnam? Follow us at the Christina’s Blog!